Third party litigation funding is still a relatively new phenomenon in Switzerland. Triggered by the commercial success of FORIS AG in Germany in the late 1990s, first reports about litigation funding emerged in Swiss legal writing around the turn of the century.2 FORIS AG entered the Swiss market in 2000. At the time, the legality of litigation funding under Swiss law was still uncertain. In the wake of the leading case of the Swiss Federal Court, the country's highest court, which answered the question in the affirmative in 2004,3 Allianz ProzessFinanz GmbH (Allianz), a subsidiary of the German Allianz Insurance Group, also entered the Swiss market.4 In 2008, Allianz even opened a representative office in Zurich. However, in 2011, Allianz stopped writing new funding business worldwide (including in Switzerland). Until recently, two funders were known to be actively operating out of Switzerland, (1) Profina Prozessfinanzierung GmbH in Zug, which was founded in 20065 and (2) JuraPlus AG in Zurich, which was founded in 2008.6 In 2017, a new player, Nivalion AG in Zug, which was founded in late 2016, entered the market.7 Furthermore, in 2018, Vannin Capital announced the launch of an office in Germany with an aim to, inter alia, fund business in Switzerland.8 Several other non-Swiss (in particular German) funders are also said to be taking on Swiss cases. Most Swiss-based players seem to focus primarily on state court litigation, notably civil liability cases as well as intellectual property and inheritance disputes. Other fields of law with funded cases are general contract and corporate law (including liability of directors and officers).9 Furthermore, there is anecdotal evidence for third party funding in arbitration and in claims dormant in foreign bankruptcies,10 until recently mostly by non-Swiss funders. The legality of litigation funding is no longer an issue in Switzerland since the Swiss Federal Court rendered the already mentioned decision of 10 December 2004.14 In this case, the Court had to review the constitutionality of a provision of the 2003 Zurich Cantonal Act on the Legal Profession (the Zurich Lawyers Act)15 that made it illegal to fund a lawsuit on a commercial basis and against a participation in the success of the suit. The Court found that the provision violated freedom of commerce as guaranteed in the Swiss Federal Constitution.16 The Court therefore quashed the critical provision of the Zurich Lawyers Act. 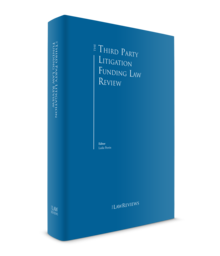 There are no specific statutory rules concerning third party litigation funding. Certain clauses in litigation funding agreements can be inadmissible; for example, if the funder was granted an excessive share of the proceeds of the litigation.24 Furthermore, as discussed by the Federal Court in its leading case, the most important legal limits and prohibitions arise from the lawyers' duties (1) to exercise their activity independently, (2) to keep client-related information confidential and (3) to avoid conflicts of interest. In exchange for the financing, the funder receives a share of the proceeds of the litigation. Generally, Swiss funders can be expected to take a share in the region of 30 per cent of the net revenue.44 The share may vary, however, depending on the absolute value recovered and the point in time at which the dispute comes to an end (i.e., the funder's share will be lower in the case of high amounts recovered and in the case of an early settlement).45 In some cases, the funder's share is also calculated as, or limited to, a multiple of the amount invested by the funder. There are no known examples of disputes between funders and plaintiffs in Switzerland. Legal documents stemming from communications between a party or third party and counsel are exempt from disclosure obligations (attorney–client privilege).56 The scope of this exception was significantly expanded in 201357 and is today predominantly deemed to apply to all types of legal documents (including notes to file, whether prepared by the lawyer or the client, legal assessments, draft contracts, etc.) and irrespective of whether they are in the possession of the lawyer, the client or even a third party.58 As a consequence, assessments from counsel will be subject to privilege even if they are in the hands of the litigation funder. Under Swiss civil procedure law, there is also no duty to disclose the existence of a litigation funding agreement.59 In particular, production requests relating to the funding of a claim are not permissible because they are irrelevant for the court's decision.60 As a consequence, more often than not in court litigation, the existence of a funding arrangement will not be disclosed. Swiss law of civil procedure generally follows the 'loser-pays' rule, according to which the losing party has to pay the court costs and also compensate the winning party for that party's attorney's fees.66 However, party costs are awarded on the basis of tariffs that depend on the amount in dispute.67 In most cases, the compensations awarded cover only part of the actual costs incurred. By contrast, in international arbitration, notable authors argue that a claimant appearing to lack assets to satisfy a final cost award but pursuing the claim with the funding of a third party makes a strong prima facie case for security for costs.74 Therefore, just as in other jurisdictions, there is a risk in Swiss-seated arbitrations that a claimant will be ordered to pay a security for party costs once the existence of a funding arrangement has been disclosed. There has also been a slight increase in reported court cases relating to issues of litigation funding.76 It will be interesting to see whether this trend continues. Furthermore, scholarly writers have recently pointed to the fact that Swiss lawyers are under a duty to advise their clients regarding the availability of third party funding and to represent them when entering into a funding agreement.77 All these factors indicate an increased awareness of third party litigation funding and the opportunities arising from it. In light of the limited number of funded cases in Switzerland so far,78 litigation funding is not yet an important phenomenon. However, litigation funding is here to stay and will very likely gain further in importance in the future. The fact that the importance of third party funding in Switzerland has remained rather modest until now may in part have to do with the fact that class actions or other mechanisms of collective redress do not exist in Switzerland at present. In 2013, the Swiss government, the Federal Council, had published a report on collective redress, which suggested a number of measures to improve an efficient handling of mass claims in Swiss civil procedure.79 In this report, the government expressed support for the further development of the Swiss market for litigation funding and described it as an important factor to improve access to justice in mass tort and consumer cases.80 In March 2018, the Federal Council proposed a partial revision of the CPC one of the key objectives of which is to strengthen mechanisms of collective redress. Furthermore, the preliminary draft law provides for a duty for courts to inform plaintiffs about the possibility of litigation funding.81 These legislative efforts to establish mechanisms of collective redress in Swiss law are ongoing and may, if made law in future, favour third party funding. 1 Martin Bernet practises out of his own independent firm, Bernet Arbitration/Dispute Management. 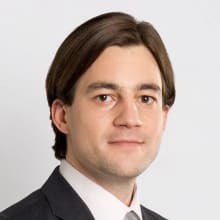 Urs Hoffmann-Nowotny is a partner at Schellenberg Wittmer Ltd.
2 See Schumacher, Prozessfinanzierung, Erfolgshonorierte Fremdfinanzierung von Zivilverfahren, Thesis Zurich 2015, cited Schumacher, Prozessfinanzierung, pp. 22 et seq. with references. 3 For more detail on this case, see Section II. 4 Allianz was one of the complainants that obtained the Federal Court's leading case. 5 See www.profina.ch, last visited on 21 September 2018. 6 See www.jura-plus.ch, last visited on 21 September 2018. 7 See http://nivalion.ch, last visited on 21 September 2018. 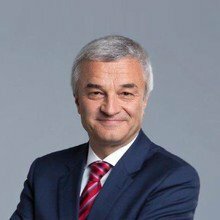 Nivalion focuses on large-scale cases (minimum amount in dispute exceeding 7.5 million Swiss francs) and is particularly active in arbitration. 8 See https://vannin.com/news-expertise/news/article.php?id=280, last visited on 21 September 2018. 9 See Wegmüller, Prozessfinanzierung in der Schweiz: Bestandesaaufnahme und Ausblick, in: HAVE 2013 235 et seqq., p. 240 et seq. ; Dähler, Juristische, ökonomische und soziale Aspekte der Prozessfinanzierung, Presentation at the Europa Institut Zürich on 27 January 2012, Section 8. 10 See in this respect Hunkeler/Wohl, Kommerzielle Prozessfinanzierung zu Gunsten von Insolvenzmassen?, in: BlSchK 2015, pp. 41 et seqq. 11 As a rule, minimum requirements are 250,000 Swiss francs (Profina), 300,000 Swiss francs (JuraPlus) and 7.5 million Swiss francs (Nivalion) (see http://nivalion.ch/direct funding/, last visited on 21 September 2018; Wegmüller, op. cit., p. 241). 12 See for a recent overview Schumacher, Richterliche Pflicht zum Hinweis auf private Prozessfinanzierung?, in: AJP 2018 458 et seqq. (cited Schumacher, Pflicht zum Hinweis), p. 460 et seq. Accordingly, there has been a slight market growth in recent years (see, for comparison, Schumacher, Prozessfinanzierung, p. 8 with figures from 2014). 13 However, Nivalion is an overseas funder member of the Association of Litigation Funders of England and Wales (see http://associationoflitigationfunders.com/membership/membership-directory/, last visited on 21 September 2018). 14 The decision is reported in the Official Case Reporter: BGE 131 (2004) I 223 et seqq. It was confirmed later by the decision of the Federal Court 2C_814/2014 of 22 January 2015 c. 4.3.1 (not published in the Official Case Reporter). 15 Anwaltsgesetz of 17 November 2003, LS (Systematic Collection of Zurich Cantonal Laws) 215.1. 16 Article 27 of the Swiss Federal Constitution, SR (Systematic Collection of Swiss Federal Laws) 101. 17 Article 8(1)(d) of the Federal Lawyers Act of 23 June 2000, SR 935.61. The statutory requirement that lawyers exercise their activity as independent professionals does not prohibit law firms from being organised as corporations, as long as the corporation is controlled by independent lawyers. It also permitted for a lawyer to exercise his or her activity as an employee provided he or she is employed by an independent lawyer or law firm. 18 BGE 131 (2004) I 223 c. 4.5. 19 The duty of confidentiality is based on a number of legal sources: the contract between lawyer and client, Article 13 of the Federal Lawyer's Act and the rules issued by the cantonal bar organisations. Breach of the duty constitutes a severe criminal offence, pursuant to Article 321 of the Swiss Penal Code (PC; SR 311.0); it also entails disciplinary sanctions. 20 BGE 131 (2004) I 223 c. 4.5.6. 21 The duty to avoid conflicts of interest is again based on a number of legal sources, in particular, Article 398(2) of the Swiss Code of Obligations (CO; SR 220), which requires lawyers to diligently and faithfully perform the business entrusted to them, as well as Article 12(c) of the Federal Lawyers Act. 22 BGE 131 (2004) I 223 c. 4.6. 23 BGE 131 (2004) I 223 c. 4.6.3, 4.6.4 and 4.6.6. 24 Article 157 PC prohibits 'profiteering' (i.e., exploitation of a party in need). Under Swiss civil law, a party that is affected by an agreement that takes unfair advantage can declare its rescission within one year of the contract having been entered into (Article 21 CO); see also BGE 131 (2004) I 223 c. 4.6.6. 25 AGVE (Official Case Reporter of Court and Administrative Judgments of the Canton of Aargau) 2008 275 et seqq., c. II.2.3. 26 Decision of the Federal Court 2C_814/2014 of 22 January 2015 c. 4.3.2. 27 Decision of the Federal Court 2C_814/2014 of 22 January 2015 c. 4.3.3. 28 Article 12(e) of the Federal Lawyer's Act; furthermore, BGE 143 (2017) III 600 c. 2.5 with further references. 29 BGE 143 (2017) III 600 c. 2.7.4 and 2.7.5; decision of the Federal Court 2A.98/2006 of 24 July 2006 c. 2.1 (not published in the Official Case Reporter); furthermore, the obiter dictum in BGE 135 (2009) III 259 c. 2.3. Article 19 of the Rules of Professional Conduct of the Swiss Bar Association also assumes the permissibility of a pactum de palmario. 30 BGE 143 (2017) III 600 c. 2.7.5; decision of the Lawyer's Supervisory Commission of the Canton of Zurich of 2 March 2006, in: ZR (Official Case Reporter of the Canton of Zurich) 105 (2006) No. 46; see also decision of the Federal Court 2A.98/2006 of 24 July 2006 c. 2.2 according to which this only leaves a relatively narrow scope for the agreement of success-related fee components. 31 BGE 143 (2017) III 600 c. 2.7.5. 32 See AGVE 2008 275 et seqq. c. II.4. As early as 2004, the Swiss Federal Court had in its leading case stated that a lawyer's independence could potentially be jeopardised if the counsel to a party held a stake in or acted as a board member of the litigation funder and would thus indirectly profit from the outcome of the litigation (BGE 131  II 223 c. 4.6.4; see also decision of the Federal Court 2C_814/2014 of 22 January 2015 c. 4.3.1). 34 BGE 131 (2004) I 223 c. 4.7. 35 Wegmüller, op. cit., p. 238. 36 See BGE 131 (2004) I 223 c. 4.6.6 ('These concerns can be addressed by existing laws or, if need be, regulations that will still be introduced.') and 4.8; furthermore, Schumacher, Prozessfinanzierung, pp. 20 et seqq. 37 Wegmüller, op. cit., p. 245. 38 See, however, Schumacher, Pflicht zum Hinweis, pp. 464 et seq., who raises the question whether a duty for courts to inform plaintiffs about the possibility of litigation funding, as it is proposed in a recent draft law for a partial revision of the CPC (see Section VII), should go hand in hand with regulation. 39 Wey, Kommerzielle Prozessfinanzierung – ein Überblick über Angebot und Rechtsfragen, in: Fellmann/Weber (eds. ), Hafpflichtprozess 2008, Zurich/Basel/Geneva 2008, pp. 43 et seqq., 52. 40 See template of Profina Finanzierungsvertrag, downloaded from www.profina.ch/ablauf/vertrag.html, last visited on 21 September 2018. 41 Wey, op. cit., pp. 47 et seqq. ; Schumacher, Prozessfinanzierung, p. 101. 42 Schumacher, Prozessfinanzierung p. 104. 43 Wegmüller, op. cit., p. 241; Wey, op. cit., p. 52. 44 Schumacher, Prozessfinanzierung, p. 21. See, however, also Wey, op. cit., p. 53, who reports a range of 20 per cent to 50 per cent. 45 Wegmüller, op. cit., pp. 241 et seq. ; Schumacher, Prozessfinanzierung, p. 21. 46 BGE 137 (2011) III 293, c. 3.2. 47 Profina Finanzierungsvertrag, § 3. 48 Schumacher, Prozessfinanzierung, p. 223. 49 Wey, op. cit., p. 56. 50 Profina Finanzierungsvertrag, § 1. 51 Schumacher, Prozessfinanzierung, p. 99. 52 Schumacher, Prozessfinanzierung, p. 99; Wey, op. cit., p. 56. 53 Schumacher, Prozessfinanzierung, p. 100; see also Wey, op. cit., p. 56. 54 Article 160(1)(b) of the Swiss Federal Code of Civil Procedure (CPC; SR 272). The taking of evidence is generally limited to disputed facts that are legally relevant (Article 150 CPC; see in this respect also decision of the Court of Cassation of the Canton of Zurich of 23 February 1981, in: ZR 80  No. 102 c. 7b). 55 Schmid, in: Spühler/Tenchio/Infanger (eds. ), Basler Kommentar Schweizerische Zivilprozessordnung, 3rd ed., Basel 2017, para. 24 ad article 160 with further references. 56 Article 160(1)(b) CPC; see also Article 166(1)(b) CPC. 57 Formerly, the exception was limited to genuine criminal defence counsel-related correspondence and it was argued that only documents in the hands of external lawyers would be protected. 58 Schmid, in: Spühler/Tenchio/Infanger (eds. ), Basler Kommentar Schweizerische Zivilprozessordnung, 3rd ed., Basel 2017, para. 24 ad article 160; Schmid, in: Oberhammer/Domej/Haas, Kurzkommentar ZPO, 2nd ed., Basel 2014, para. 6a ad article 160; Hasenböhler, in: Sutter-Somm/Hasenböhler/Leuenberger (eds. ), Kommentar zur Schweizerischen Zivilprozessordnung, 3rd ed., Zürich 2016, para. 18 ad article 160. 59 An exception applies where a party has previously obtained legal aid, in which case it is required to notify the court upon entering into a litigation funding agreement that it has made sufficient funds available and no longer depends on legal aid (see decision of the Superior Court of the Canton of Zurich of 8 April 2012, LA110040, c. 8.3; furthermore, also of the Federal Court 2C_814/2014 of 22 January 2015 c. 5.2). 60 See Section IV, first paragraph. 61 von Goeler, Third-Party Funding and its Impact on International Arbitration Proceedings, Alphen a.d.R. 2016, pp. 130 et seqq. (also with reference to further procedural issues that may require a party to disclose certain facts related to the funding) and pp. 338 et seq. ; Scherer, Third-Party Funding in International Arbitration: Towards Mandatory Disclosure of Funding Agreements, in: Cremades/Dimolitsa (eds. ), Third-party Funding in International Arbitration, ICC Dossier, Vol. 10, Paris 2013; pp. 95 et seqq. ; see also ICC Commission Report, Decisions on Costs in International Arbitration, ICC Dispute Resolution Bulletin 2/2015, para. 89. 62 General Standard 6(b) and 7(a) of the 2014 IBA Guidelines on Conflicts of Interest in International Arbitration. 63 Voser/Petti, the revised IBA Guidelines on Conflicts of Interest in International Arbitration, in: ASA Bulletin 1/2015, pp. 6 et seqq., p. 19; Scherer, op. cit. p. 96 et seq. ; see also Born, International Commercial Arbitration, 2nd ed., Alphen a.d.R. 2014, Vol. II, para. 2867. Voluntary disclosure is also recommended as best practice in the Report of the ICCA-Queen Mary Task Force on Third-Party Funding in International Arbitration of April 2018, p. 188. 64 Schumacher, Prozessfinanzierung, p. 98. 65 Wey, op. cit., pp. 54 et seq. 66 Article 106(1) and (2) CPC. 67 See Article 96 CPC. 71 Decision of the Commercial Court of the Canton of Zurich of 12 February 2016, in: ZR 115 (2016) No. 17. 73 ibid., c. 4. The security can, however, be furnished in the form of a payment guarantee a Swiss bank or insurance company (Article 100 CPC). 74 Born, op. cit., para. 2496; see also ICC Commission Report, Decisions on Costs in International Arbitration, op. cit., para. 90. By contrast, Redfern/O'Leary, Why it is time for international arbitration to embrace security for costs, in: Arbitration International 2016 397 et seqq., pp. 407 et seq., suggest that 'the fact of third-party funding alone is not enough to justify an order for security of costs'; similarly also von Goeler, op. cit., p. 341. 76 See, e.g., decision of the Commercial Court of the Canton of Zurich of 12 February 2016, in: ZR 115 (2016) No. 17; decision of the Federal Court 2C_814/2014 of 22 January 2015; decision of the Superior Court of the Canton of Zurich of 8 April 2012, LA110040. 77 Schumacher/Nater, Anwaltsrubrik: Prozessfinanzierung und anwaltliche Aufklärungspflichte, in: SJZ 2016 43 et seqq. with reference to a corresponding statement of the Federal Court in its decision 2C_814/2014 of 22 January 2015, c. 4.3.1. 79 Report of the Swiss Federal Council on Collective Redress in Switzerland of 3 July 2013, available online at https://www.bj.admin.ch/dam/data/bj/aktuell/news/ 2013/2013-07-03/ber-br-d.pdf, last visited on 21 September 2018. 80 Report of the Swiss Federal Council on Collective Redress in Switzerland of 3 July 2013, p. 46. 81 Explanatory Report of the Swiss Federal Council on the Revision of the CPC (Improvement of the Application of the CPC and the Enforcement of Rights) of 3 March 2018, pp. 50 et seq. ; see also Schumacher, Pflicht zum Hinweis, pp. 458 et seqq.